Make use of convenient amenities such as complimentary wireless Internet access, a television in a common area, and a reception hall. Located in Tokyo (Sumida), IZA Asakusa Guest House is within a 15-minute walk of Sensō-ji Temple and Kaminarimon. 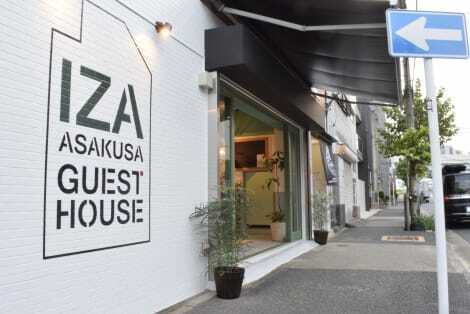 This hostel is 0.7 mi (1.1 km) from Asakusa Shrine and 1.1 mi (1.8 km) from Tokyo Sky Tree. Make yourself at home in one of the 9 air-conditioned rooms featuring microwaves. Complimentary wireless Internet access is available to keep you connected. Bathrooms feature showers, bidets, and hair dryers. Stop by the hotel's restaurant, SAKURA CAFE HATAGAYA, for lunch, dinner, or brunch, or grab snacks at the coffee shop/café. Continental breakfasts are available daily from 4:30 AM to 11 AM for a fee.